History of African swords. Types of African and arabic swords. Kaskara and nimcha swords. Sword history. 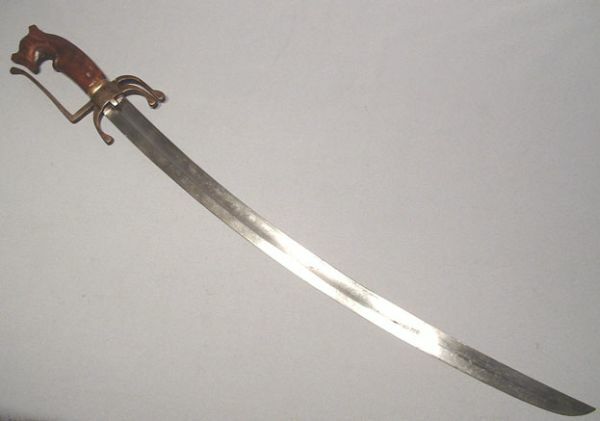 Many different cultures in Africa have developed their own styles of swords for use amongst themselves, though most of the non-Arabic designs are typically double-edged straight bladed longswords. 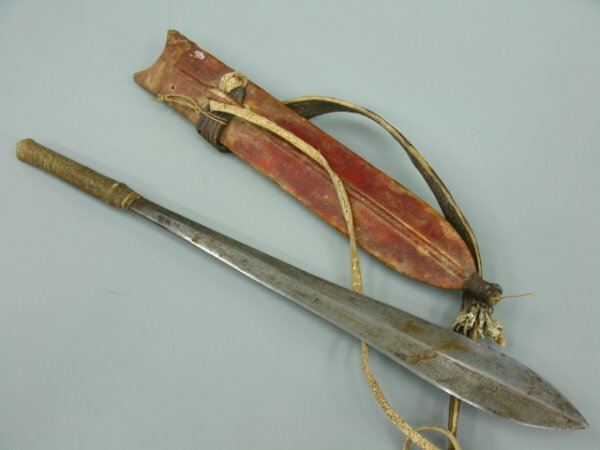 The West African Yoruba people used a sword known as the Ida. The blade was an elongated leaf shape with either a single or double cutting edge. Other edged weapons were made by these people, including the single-edged, eccentrically curved Agedengbe and the sabre-like Tanmogayi. The modern Machete is derived from the Ida. In the eastern Sahel region, a long, double-edged sword known as the Kaskara was favoured. This had a straight blade and a spatulate tip. It was worn either horizontally across the back or between the upper arm and thorax. Ownership of a Kaskara was an essential possession for most men in this region, from as early as the 1500s. In the western Sahel region, and in the Tuareg, Hausa and Fulani ethnic groups, a one-handed longsword known as the Takouba is favoured. These straight blades taper along the length of the blade to a rounded point. The blade can have up to three grooves running along the blade from the hilt (known as fullers) though this is not essential to the styling. In the northwest of Africa, especially around Morocco, the Arabic influence is evident in the curved, single-edged Nimcha and Flyssa swords. The Nimcha had a much more substantial blade than the Flyssa, a cross guard and also a knuckle guard, wheras the Flyssa was much more rudimentary. This entry was posted in Swords and tagged african swords. Bookmark the permalink.